After the Renaissance era ended with 1999's Tarzan, Walt Disney Feature Animation landed in a bit of a pickle. Both Fantasia 2000 and Dinosaur were fairly successful, but in 2000 the hugely overbudget Emperor's New Groove arrived in cinemas and pretty much flopped: spearheading the infamous Disney slump of the 2000s. The studio had not seen such horrible returns since their depressing loss of fame in the 1970s, and it would not be till 2010's Tangled that Disney would release a massive blockbuster in the style of their Renaissance hits. But still, a film that generates huge profits isn't automatically good, nor is it automatically bad. We must examine the content itself, and so we shall in this list of the very worst to the very best of Disney's 2000s slump. Seriously Disney, what happened here? WHAT HAPPENED? 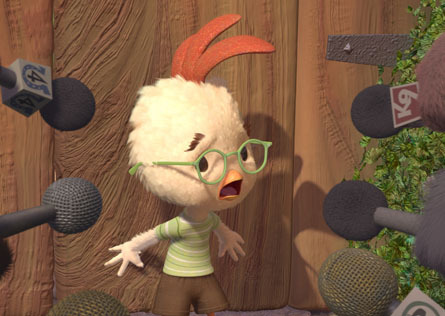 Chicken Little is the first CGI animated film from the studio, and grossed $314 million worldwide which, sadly, makes it a pretty decent success. Often viewed as the worst Disney film ever made, Chicken Little is highly deserving of its bad reputation because of how bad the entire premise is. Theres too many corny jokes, a lack of real depth and it does not feel like a Disney film at all. Disney let the whole 'CGI animation is successful' mantra get to their heads and the end result was this abomination that sadly remains part of their animated canon. For shame. 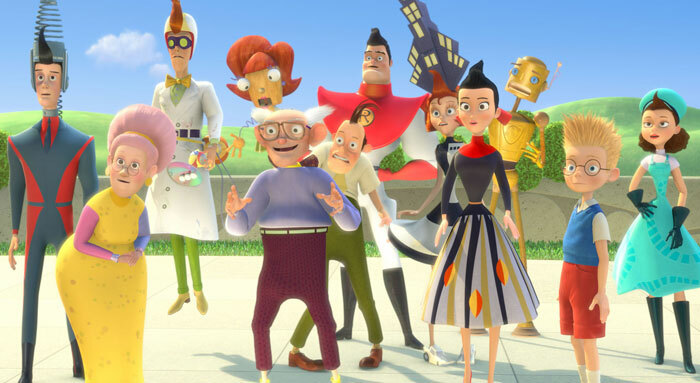 On an undisclosed budget that's rumoured to be around $100-120 million, Meet the Robinsons pretty much bombed with global earnings of $169 million. It's always sad to see a Disney film bomb, but Meet the Robinsons feels like its using a very creative story for its own portrayal of modern animated film clichés, including pop culture references and humour that doesn't know its limits. The narrative comes together very nicely and, don't get me wrong, it's very funny sometimes; but perhaps it could've told the interesting premise a little bit better. As it is, the strong ending is the only part of the film that conveys a genuine Disney vibe. Brother Bear's premise had a lot of dramatic potential, but this is rarely utilised to full effect. The animation is vibrant and the soundtrack has some strong efforts by Phil Collins, but Brother Bear still suffers from throwaway characters and a paper thin storyline. It's decent, far from Disney's worst, but could've been a lot better. It's mixed reputation didn't affect audiences, however - the film earned $250 million worldwide and was considered a decent success. During its four month theatrical run, Home on the Range earned $103 million worldwide on a bloated budget of $110 million. Considering Hollywood films need to earn at least double their budget to begin generating profits, this made the film one of the biggest Disney flops of all time and lead to the studio's scrapping of 2D animation for the foreseeable future. I used to despise this film as a kid, but I've given it another chance in recent times - and while the story is offensively by the numbers, some great voice work and animation make this a Disney flick that's decent at best. Animator income excelled to an all time high when the 2000s began, explaining why the playful looking Emperor's New Groove had a $100 million budget, costing more than most Disney Renaissance films. It's budget ultimately lead to trouble, as it earned $169 million worldwide when released and thus became a box office flop. It's not Disney's most compelling effort, but as a comedy things really work; every viewer is sure to laugh on numerous occasions throughout. Released in the summer of 2002, Lilo & Stitch earned $273 million worldwide against an $80 million budget to become one of the most successful films of the Disney slump. Part of its success was attributed to excellent marketing, which featured trailers mocking past Disney hits such as The Little Mermaid and Beauty and the Beast, as well as emphasis on Elvis Presley within the film's soundtrack. 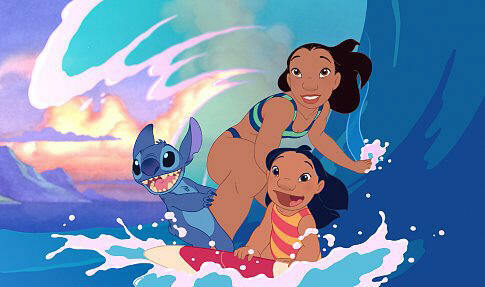 Lilo & Stitch is a little bit forgettable, but still succeeds with a strong moral, loveable characters and a charming art style spearheaded by director Chris Sanders. Altantis: The Lost Empire is yet another box office bomb for the studio, earning a meagre $186 million compared to an enormous $100-120 million budget. It's definitely sad to see this one bomb, because the story is actually rather enticing and only a rusty third act and some contrivances bog it down. A surprisingly strong Disney effort lies beneath the surface, and even the initially cartoony animation proves to be some of Disney's best. 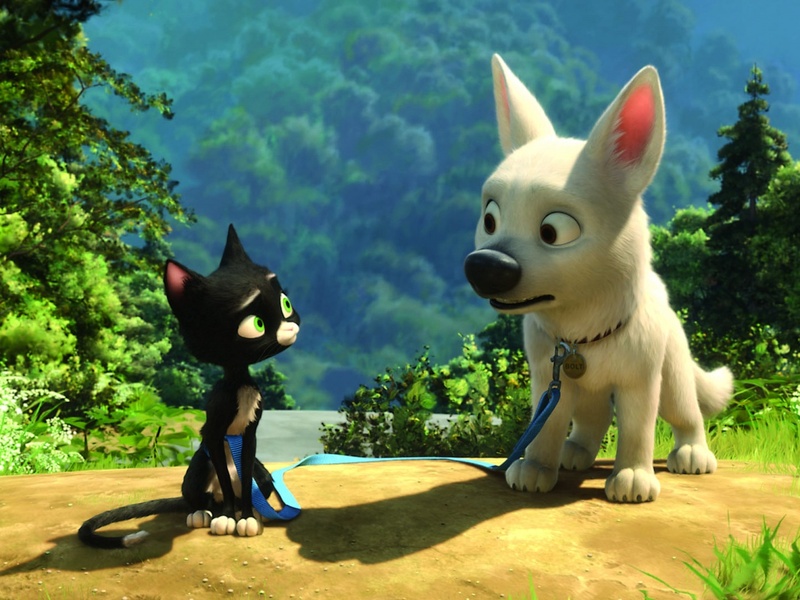 Bolt started Disney's return to success but it still didn't make any records, earning $309 million against its $150 million budget. Quite unusual of Disney at the time was the marketing, which focused heavily on stars John Travolta and Miley Cyrus; Disney seldom advertise their films based on the cast, even with ensemble lineups, and it seemed rather desperate considering Miley Cyrus' role wasn't as huge as it was made out to be. I always thought she was voicing Mittens the cat, but that role goes to Susie Essman - whose name is never mentioned at all in any trailer or poster. Weird. But I digress; Bolt is definitely one of Disney's best, and a return to form for the studio after their focus on nothing but lame gags. It's funny, visually stunning and boasts a nice layer of complexity with its relationships, making it a great watch from beginning to end. Though considered successful, The Princess and the Frog still failed to match the Renaissance era with a worldwide gross of $267 million, which could've been better when compared to its $105 million budget. The project was born when John Lassester strived to bring hand drawn animation back to the studio, and what better way to do so than with a classic fairy tale to harken back to Disney's prime? The Princess and the Frog is visually astounding, matching the fluidity and vibrancy of classic Disney animation - the same can be said for the music and characters. Everything works well and, some plot inconsistencies aside, this is definitely one of Disney's strongest films to date. Lilo & Stitch made 2002 seem like the light at the end of a dark tunnel for Disney, but a few months later Treasure Planet hammered down on that prospect. 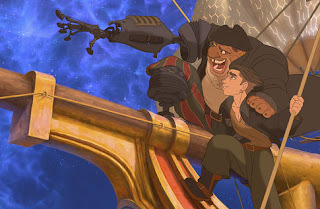 Budgeted at $140 million, which officially makes it the most expensive hand drawn film of all time, Treasure Planet earned a pathetic $38 million in the United States and an abysmal $109 million worldwide. Popular as it was, the Disney brand was clearly not strong enough to prevent the film from becoming one of the company's biggest failures. Many reasons for its failure were explored; some assumed young audiences just didn't connect with the Treasure Island basis, others believed the release was too close to Harry Potter and the Chamber of Secrets, which hit cinemas just two weeks earlier and continued to plough through competition. 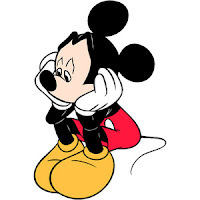 Some even disputed that Disney purposely rigged the films failure in order to lay off hundreds of overpaid 2D animation staff, though this has often been debunked as a rumour. Treasure Planet was released during a time where CGI animated features had risen as the new hot thing in cinema, particularly as Dreamworks had become a prime competitor to Pixar. Here we have a combination CGI animation and hand drawn characters to seem like the best of both worlds, much like with Tarzan, but audiences and critics weren't one over; Ron Clements and John Musker (Aladdin, The Little Mermaid, Hercules) wrote and directed a screenplay with some severe plot holes and a difficult to determine target audience. But, I can't say I didn't enjoy it; the polished combination of CGI and hand drawn animation was just one of many pros. Jim and Silver share a strong chemistry to pack an emotional punch into the storyline, but there's still a healthy dose of comedy thanks to fun lineup of supporting characters. Overall we have a gorgeous visual style, some excellent sound design and, of course, a classic Disney vibe. I can see why it didn't quite click with mainstream audiences, but it still remains one of my favourites.